The road for Noah Westbury has been carved out for him, long before he knew who his father was. Making sure he worked hard to deserve the opportunities provided to him, Noah is exactly where he dreamed of being—starting QB for Portland Pioneers. Together with a Victoria Secret's model girlfriend by his side, life couldn't get much better. Except for the fact that standing in his path is Peyton Powell-James, his life-long friend and the one woman he can never have. Peyton Powell-James always knew her future would be in football and dreams of having a successful sports journalism career once she graduates college. After being given an assignment to cover a professional game from the sidelines, Peyton believes that everything is going to plan, until one fateful night changes her life. Harsh reality sets in for Noah and Peyton. One could lose everything, while the other one struggles to keep the families together. 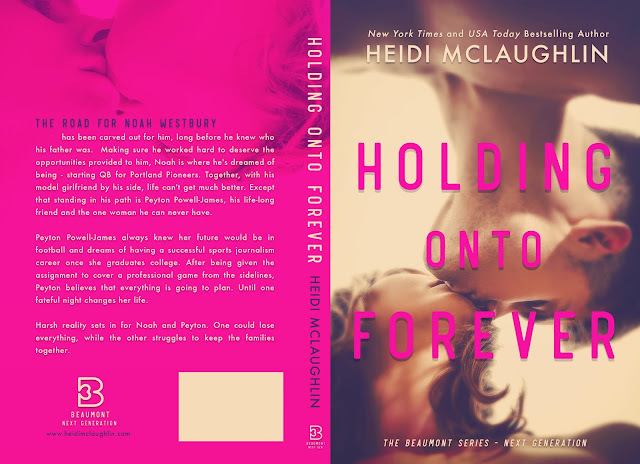 Read my four-starred review of Holding Onto Forever. 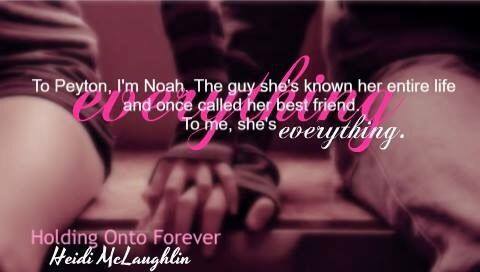 Add Holding Onto Forever on Goodreads. Kyle Zimmerman, one of the top-rated quarterbacks in the league, and Chicago’s most eligible bachelor is holding my hand as he guides me to his car. The schoolgirl in me is trying not to let his presence affect me, at least not on the outside. On the inside, though, I’m all a ball of nerves mixed with excitement. Who would’ve thought a simple assignment would turn into a date? Not me. Not in a million years, but here I am, being helped into his car and anxiously waiting for him to get behind the steering wheel. And once he does, the sweet scent of his cologne fills the small space. I find myself leaning a bit closer to him so I can inhale deeply without looking like a creeper. Kyle smiles. It’s an ear-to-ear grin with a slight chuckle. I’ve been caught, but he doesn’t seem to care. He leans forward, pulling himself away from me. It’s probably best. We’ve just met and if he kissed me now, I don’t know what I would do. 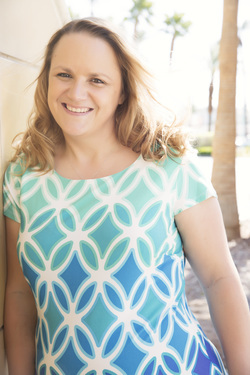 Heidi McLaughlin is a New York Times and USA Today bestselling author. Originally from the Pacific Northwest, she now lives in picturesque Vermont, with her husband and two daughters. Also renting space in their home is an over-hyper Beagle/Jack Russell, Buttercupb and a Highland West/Mini Schnauzer, JiLL, and her brother, Racicot. Heidi's first novel, Forever My Girl, will be in theaters on January 26, 2018, starring Alex Roe and Jessica Rothe.